The guy who played Hodor in the ridiculously popular show Game of Thrones is called Kristian Nairn. And it turns out he's a pretty good DJ too, having held down a residency at the Kremlin nightclub in Belfast for 11 years. 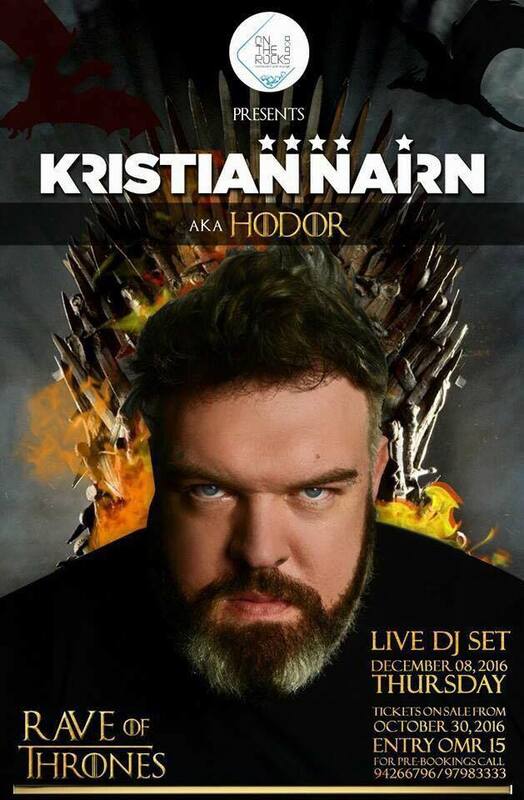 On The Rocks are hosting Kristian in a couple of weekends time on the night of December 8th. Tickets are now on sale to go, and they cost RO 15 - you can get them by calling 9426 6796 or 9798 3333.